Dr. Seuss and Dr. Goebbels? 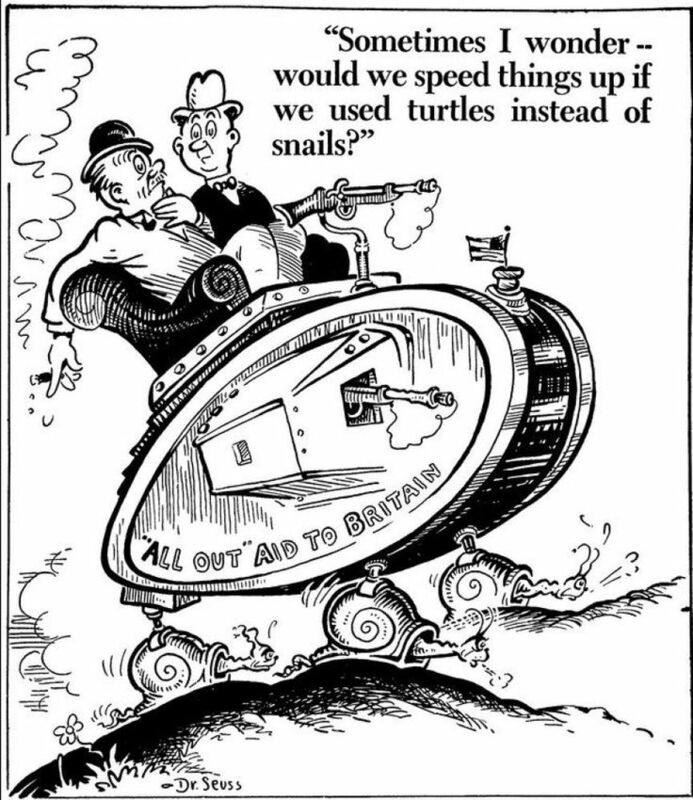 Theodor Seuss Geisel (born 2 March 1904), better known to pretty much every former kid as Dr. Seuss, is, of course, the well-known children's author. Dr. Seuss was not, however, stuck in kindergarten himself. 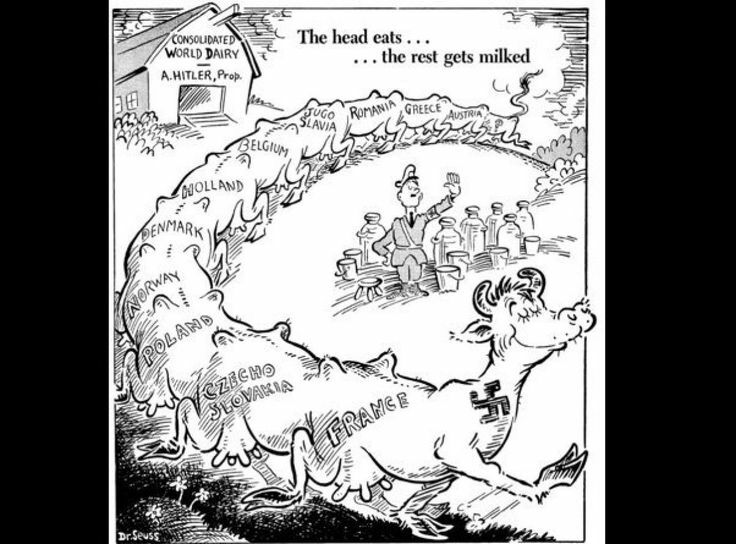 Dr. Seuss has sold over 600 million books, and that isn't done by some sort of iconoclastic geek. Dr. Seuss had a top academic resume, having gone to Dartmouth and Oxford, and worked for Vanity Fair, Life and many other publications. He did advertising work, newspaper work, basically anything that required his distinctive artistic skills. 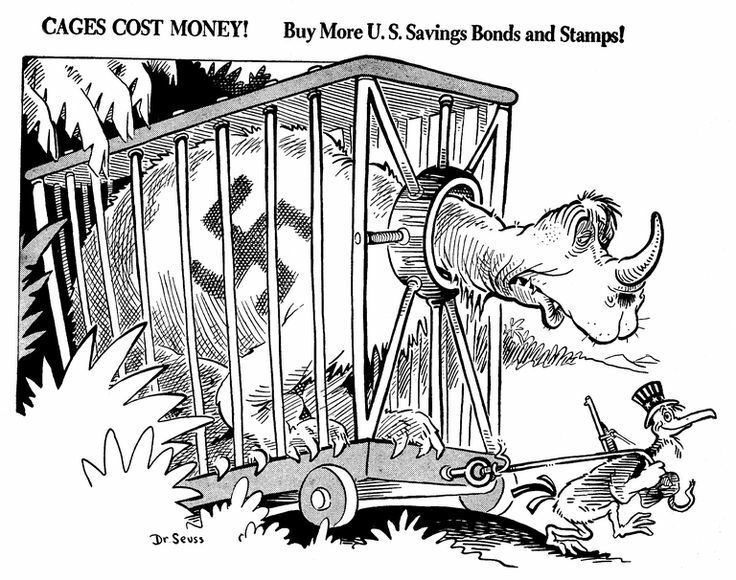 Dr. Seuss went to work for the US Army Animation Department during World War II. There he worked up some animation shorts, one of which (Design for Death) won the 1947 Academy Award in the Documentary Feature category. Dr. Seuss - Hitler Taxidermist, published by PM Magazine on June 25, 1941, Dr. Seuss Collection, MSS 230. Dr. Seuss also did some posters for the Treasury Department and the War Production Board. 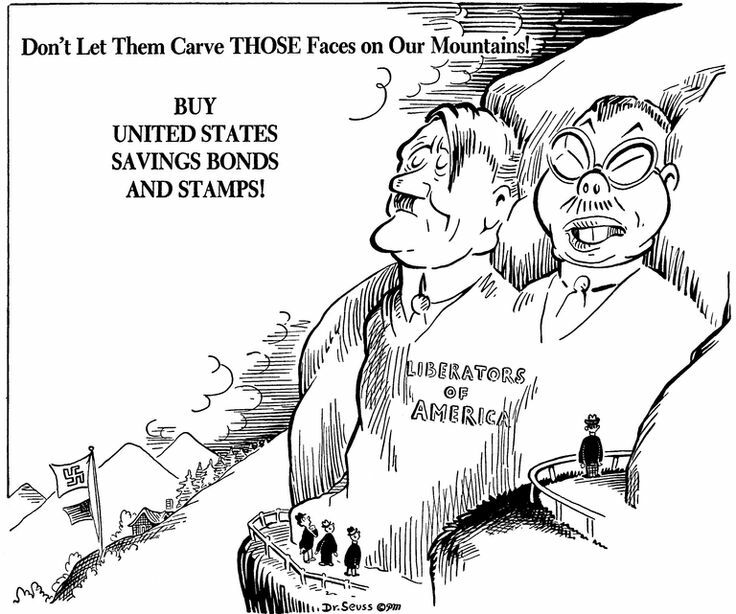 Some of these cartoons reflect that work, such as the ones touting war bonds. 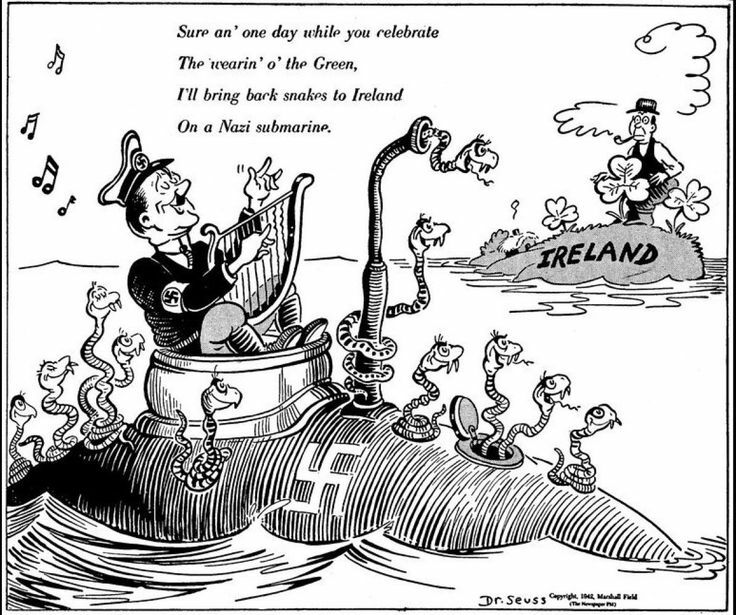 While for one reason or another, perhaps an academic deferment or age, Dr. Seuss did not participate in World War I, when he was 18 when the war ended. 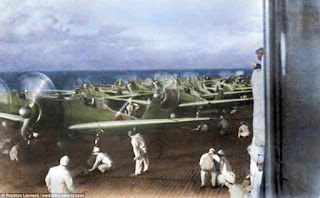 However, he ultimately did serve in the US armed force as a Captain in World War II, when he was well past draft age. 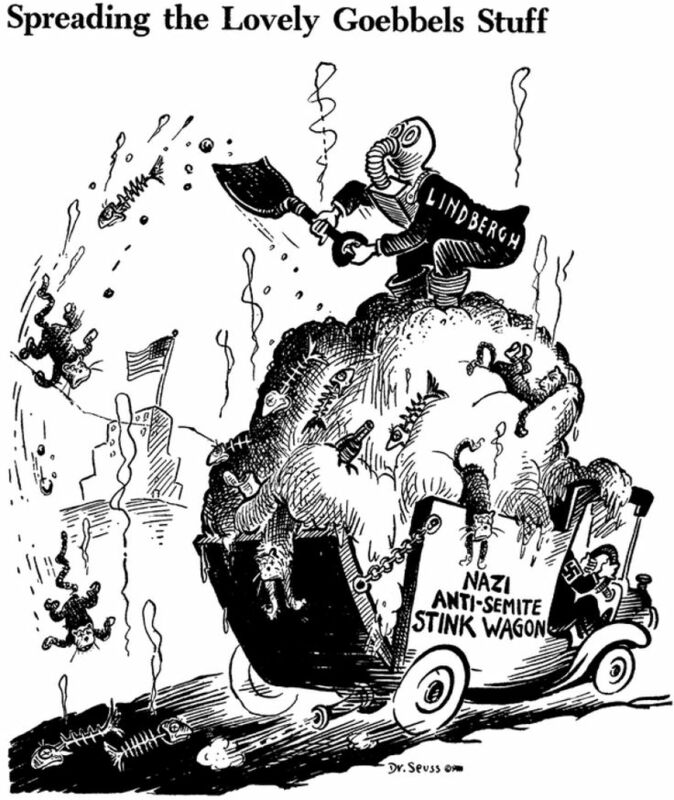 Early in the war, Dr. Seuss produced over 400 cartoons for the left-leaning New York City daily newspaper, PM. 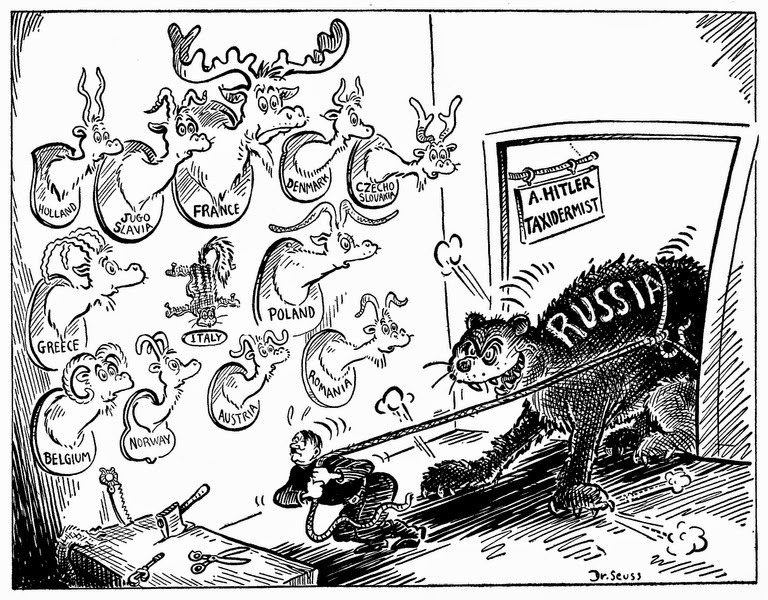 These were later published in Dr. Seuss Goes to War. 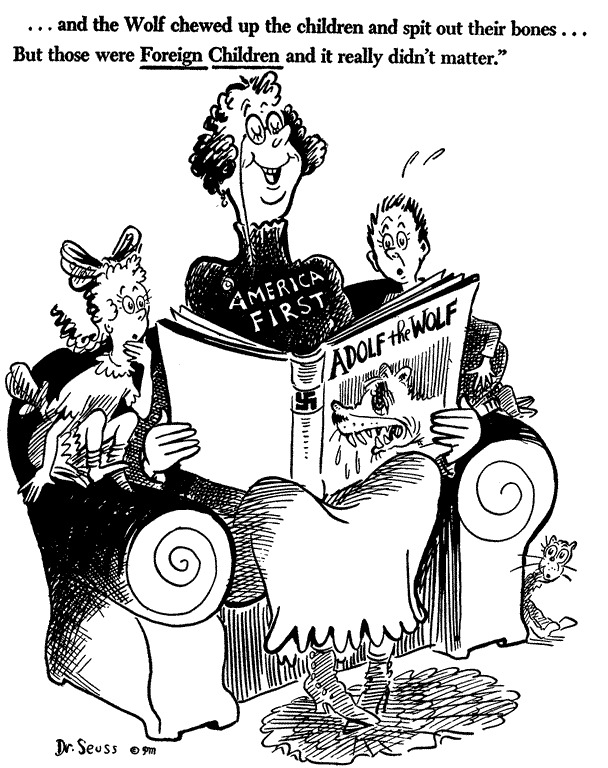 Dr. Seuss later became the commander of the Animation Department of the First Motion Picture Unit of the United States Army Air Forces. In 1943, he joined the Army as a Captain and was commander of the Animation Department of the First Motion Picture Unit of the United States Army Air Forces. He wrote films that included "Our Job in Japan" about how to act in post-war Japan and the "Private Snafu" series of adult army training films. While in the Army, he was awarded the Legion of Merit. 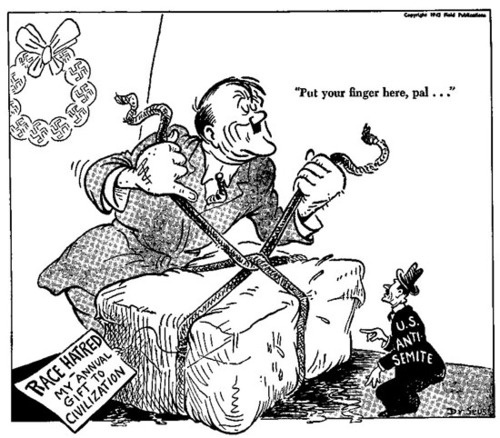 "Your Job In Germany," an elaborate production that showed servicemen how to think about and act in Germany after the war, shows that Dr. Seuss was appropriately cynical and understanding of the dangers of the German mindset and latent political ideology. It was only after the war that Dr. Seuss turned to writing the classic children's books that are eternal, such as "Horton Hears a Who!" (1955), "The Cat in the Hat" (1957), "How the Grinch Stole Christmas" (1957) and "Green Eggs and Ham" (1960). 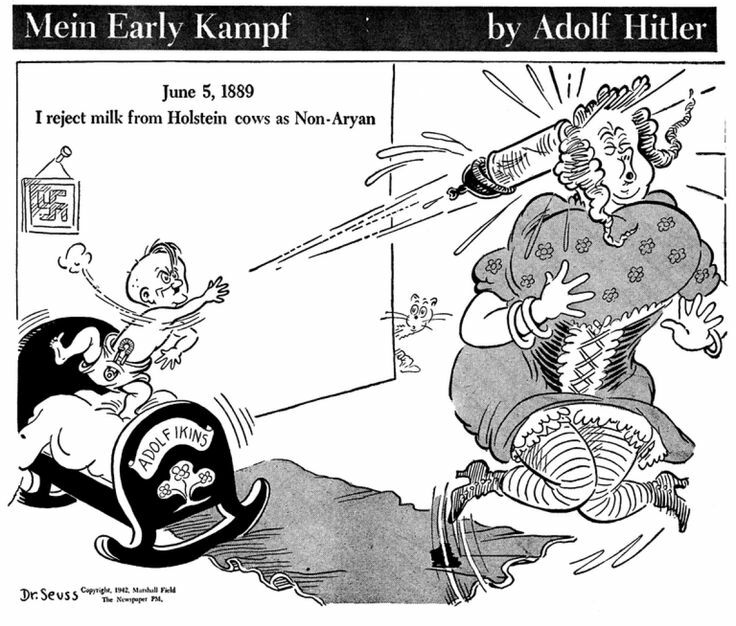 However, first things first, defeating Hitlerism was the first order of the day, and Dr. Seuss did his part. Below is one of Dr. Seuss' best works, "Your Job in Germany," which differentiates the country of Germany from its militaristic leaders and past. "Trust none of them!" But respect their laws and property rights. "We stand guard."